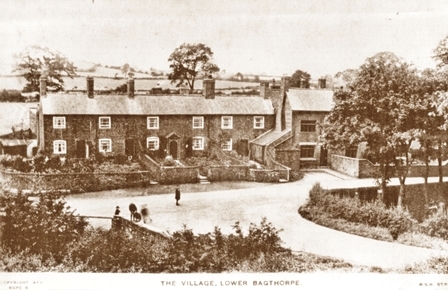 Dorothy Wilbraham (nee Bland) born 1915 remembers growing up on a farm in Bagthorpe village. She remembers the lamp lighter who was too short to reach the gas lamps so he had to half ‘shimmy’ up the lamp posts to get them lit. There were visits to the Jacksdale Picture Palace to watch the afternoon matinees, serialised films with those ‘cliff hanging’ endings which meant you had to go back the following week to find out what happened. During the interval the Palace was disinfected, including the audience, if they remained in their seats. Some of Dorothy’s pals quite liked the antiseptic smell on their clothes. Dorothy talks about the clothes they wore as children, long woollen stockings and button up boots. There were so many buttons you needed a button hook to do them all up with. Dorothy’s first job was in a high class department store in Nottingham, the ladies came, in their finery with their chauffeurs and little lap dogs. An enchanting tale of a golden age.